I have always been hopeless at geography. Not what I consider real-life geography – people, places, wildlife – but the whereabouts of everyone else in relation to me on the globe. I was SO bad at this that when it came to Officer Training, this was the part I spent most of my time on before interviews. I managed to get to my 20’s without knowing where most of the world’s countries are. Awful, I know. It wasn’t something that ever interested me – just as before children, travel never interested me either. 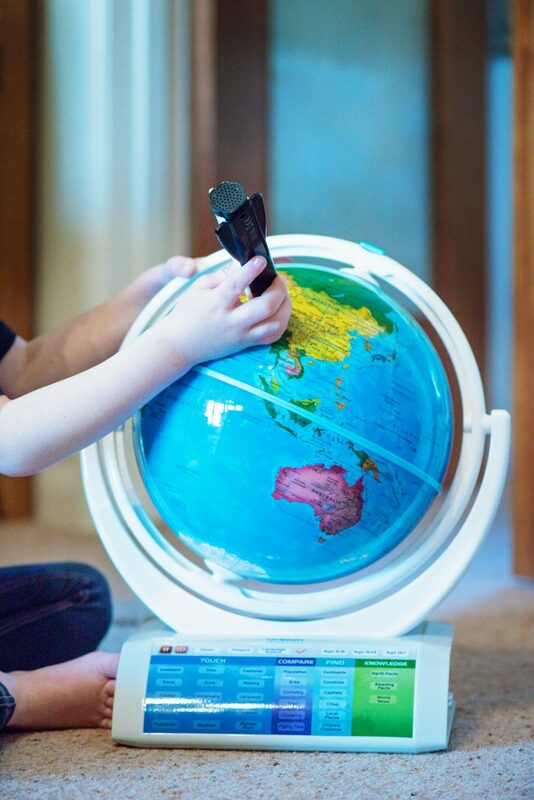 Now though, I’m much more interested in learning about the world with my boys – and luckily we were sent the Oregon Scientific Smart Globe Explorer AR. The name alone sounds impressive – but this is a globe amongst globes, and it’s even lured the boys from Mario and Minecraft, it’s that good. 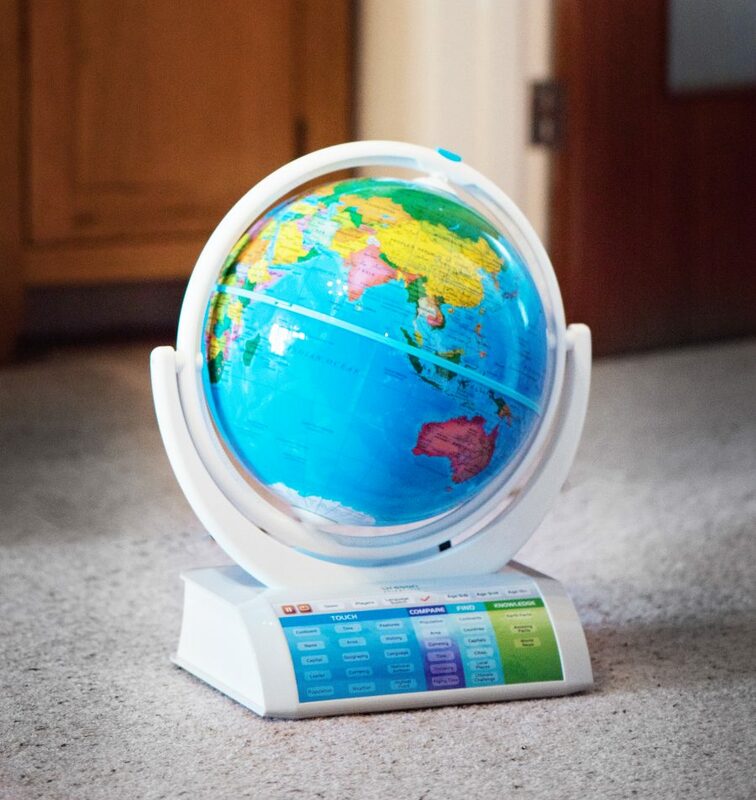 The Smart Globe Explorer features 220 countries [who knew!? Ha ha] and is for children 5+. 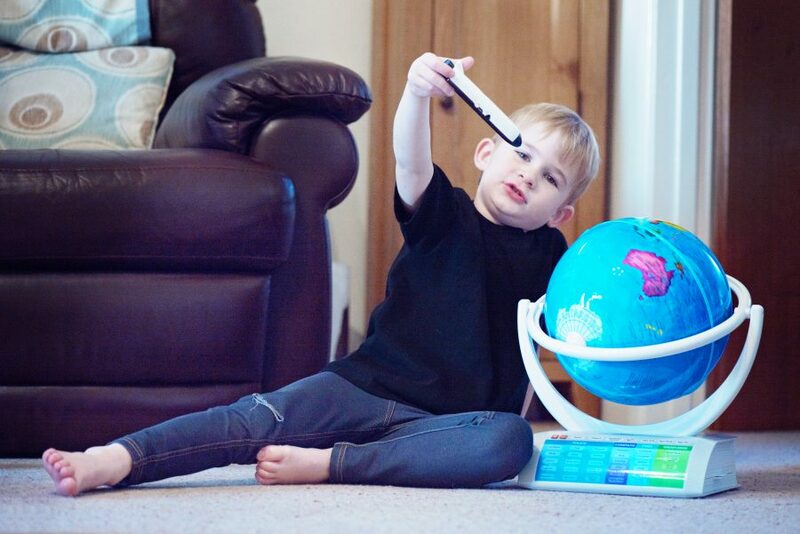 There are three levels for learning – we’re currently exploring 5-8, and I love that Hero will grow into using it and hopefully not be like me, not having a clue about continents, rivers, seas and the like as the boys’ knowledge grows. 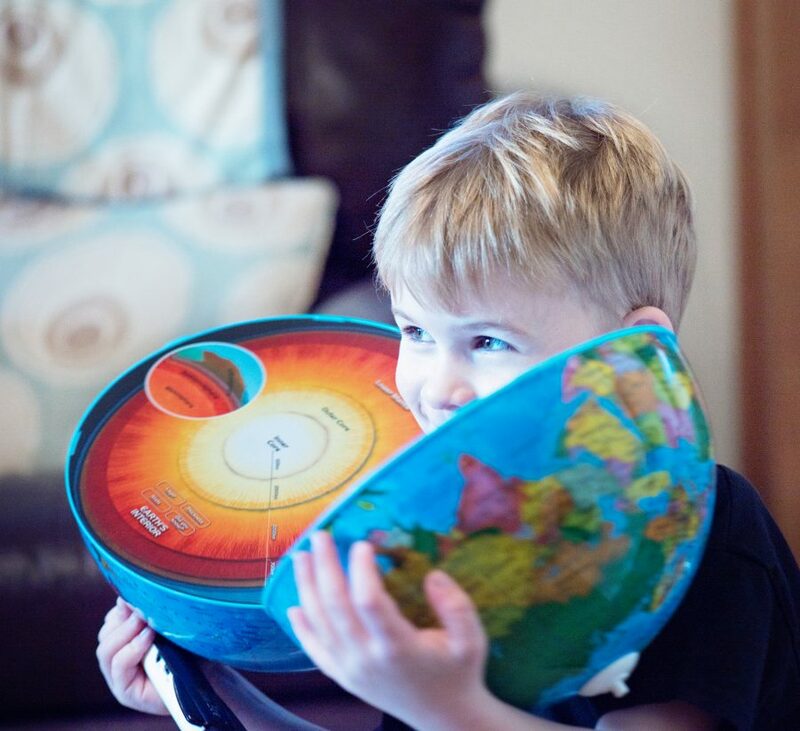 There are so many ways to use the globe – it spins on two axis and is nothing like the globes of my geography lessons. On the base sits a whole control panel where different challenges and learning can be accessed, all by using the Space Shuttle pen which is used to interact with it. Inside the globe is the earth’s core – the sphere pops out of the frame and is easy to open to reveal what we can’t see from the outside. Jensen is absolutely enthralled to learn about this part particularly and it’s also activated with the shuttle pen. In the side of the base is a book-like piece which opens to provide a base for the earth when it’s open to reveal its core, and on the cover of the book is a closer look at the United Kingdom. No detail has been spared. Lyoto is learning all about polar issues at the moment and so his first port of call was Antarctica. By using the history button we learned that it’s the only continent where pumpkins cannot be grown, it has no capital city AND there are no snakes. 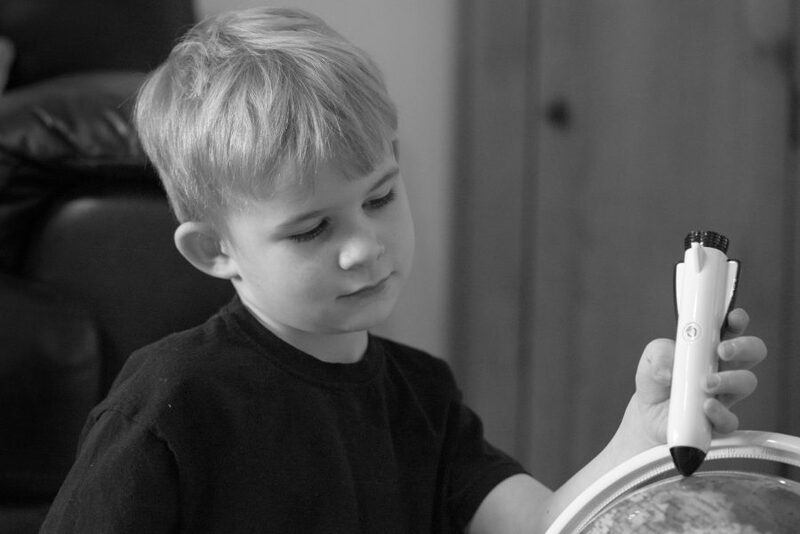 He went to school full of excitement that he knew new things about his topic. Personally, I’ve been using the country button to challenge myself to find as many countries as possible in the time allowed – I think it’s two minutes. 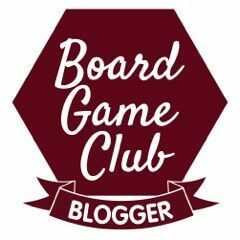 I have a shameful score but it’s getting better and the boys are enjoying seeing that I am actually learning as well as they are. There’s an AR part to the globe, activated through using an iphone, but we’re waiting to use that for a while whilst we get used to the glove itself. We want them to be excited about their geography and using their listening skills for a while before we bring out the new technology! …everything about this globe. It’s going to be used over and over as a fantastic resource throughout their lives, and mine. We can access information about our planet instantly and in a fun way. We just love it. 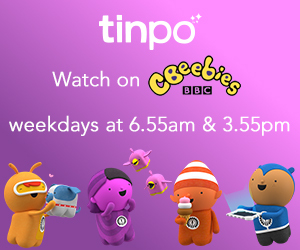 …that if the rocket is connected to your laptop, there are one year of free updates available – if something happens in the world, your globe will absorb that information and pass it on to your little ones [and you]. …the headphone socket! Hooray. I wish every single toy had one of these. …that there are no batteries required! No panic if this is delivered by Father Christmas, as it’s mains powered. …that getting it out of the box was a little bit easier! 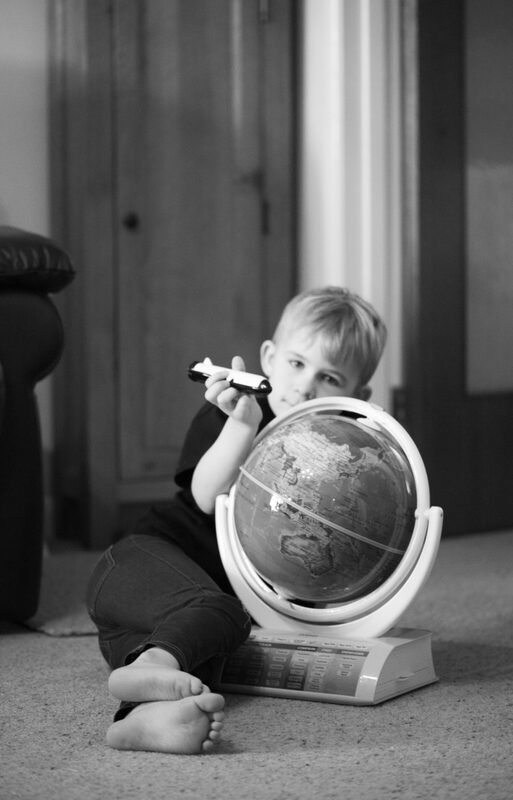 …the rocket was attached to the globe [less chance of losing it with three little boys] and that there was somewhere to store the charging cable. I’ve labelled it but it looks so much like other cables I have that I am terrified of losing it. …the AR worked with our older iPad minis. I don’t particularly like that I’m going to have to let them use my iphone to access it. …that we’d had one of these as children, haha. Our Verdict? This globe is AMAZING. 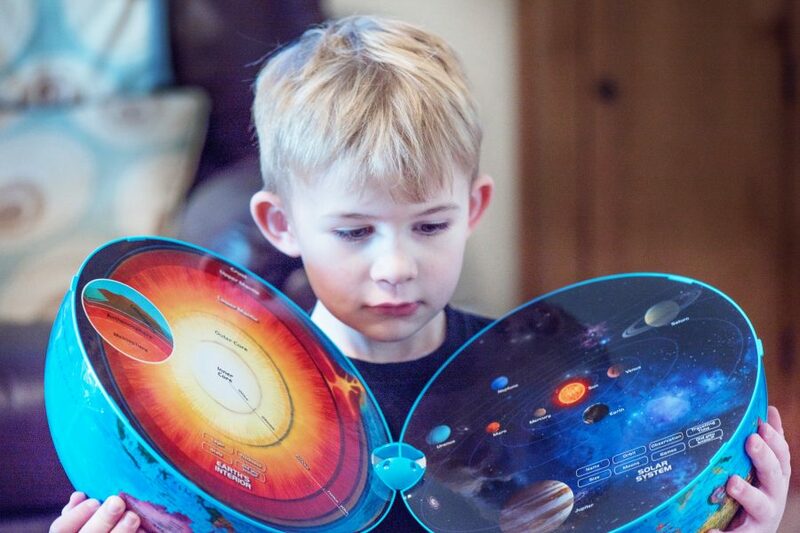 It’s fantastic and worth every single penny – the educational value is immense and no other geographical piece of equipment has engaged our boys as much as this one. It will be used for homework, learning about our holidays, our world, issues we see on the news….the list is endless. We love it.